This stunning piece of furniture is imported directly from Italy. The divan is constructed of all-natural walnut hardwood. It has intricate detailing, including wood carving and gold accenting, throughout the entire piece. 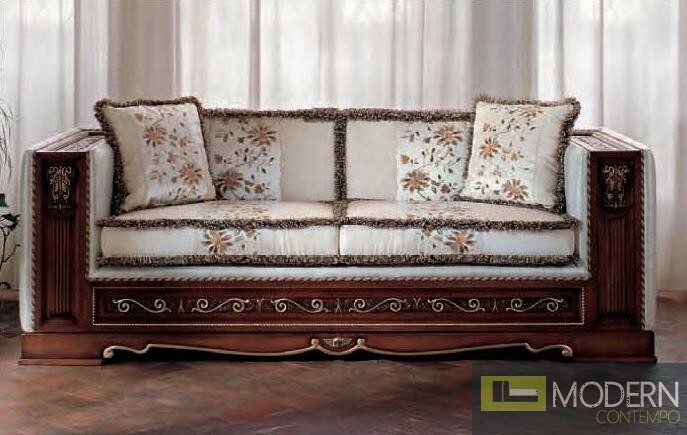 The sofa has white upholstery with a floral design, and boasts comfortable, plush cushioning. This seat is fit for royalty.